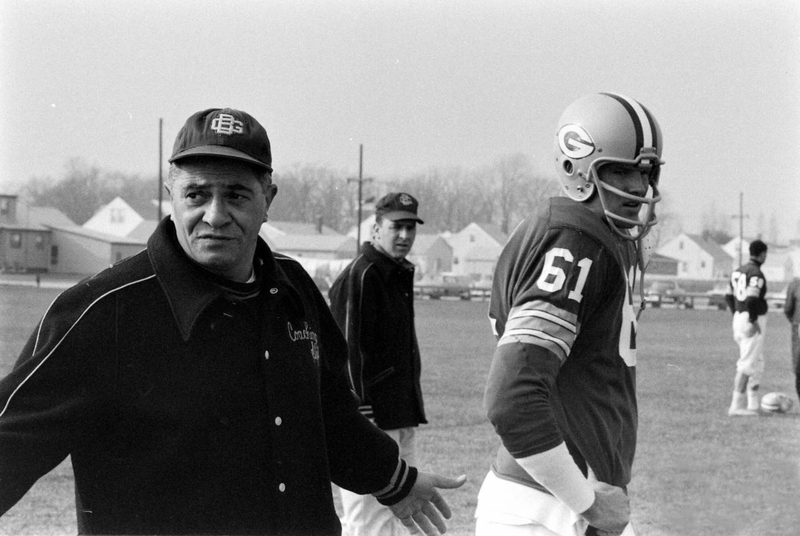 Head coach Vince Lombardi is seen today with Packers’ linebacker Nelson Toburen in this practice image from 1962. Toburen was a 14th round pick from Wichita State who played with the team for two seasons — 24 games in 1961 and 1962. 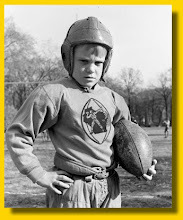 He was the Packers' 14th-round draft pick out of Wichita State in 1961. His career ended when he broke his neck (according to the 1963 Packers Yearbook, it was a “serious back injury”) while tackling Colts quarterback Johnny Unitas in the Packers' 17-13 win over Baltimore at new City Stadium on Nov. 18, 1962. He spent a year in a body cast, then attended law school — with Lombardi’s kind help, some say — and became a lawyer and judge in Kansas. Recieved this photo from John Biever from archives. It was tagged as Leland Bondhus from training camp 1961. 19th pick from South Dakaota State. I am also related to Nelson. 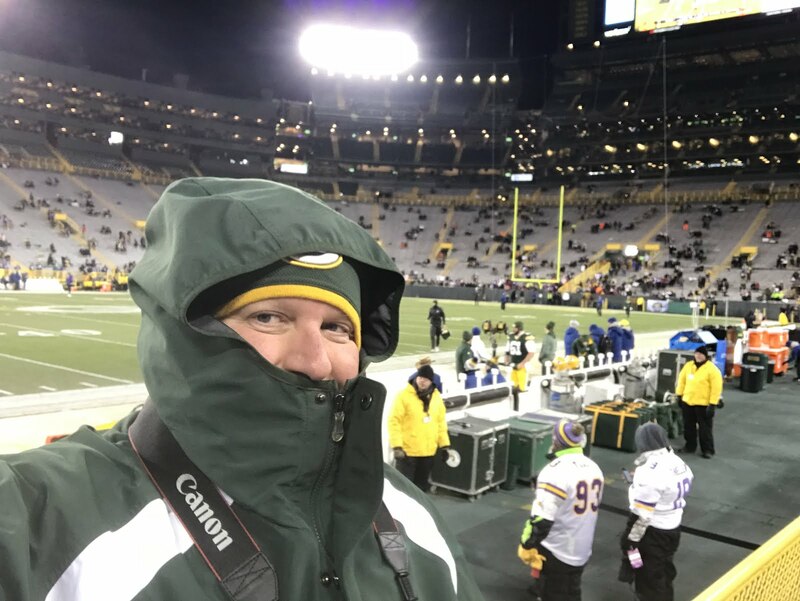 I saw the play, which was a kickoff by the Packers. He was in on the sideline tackle and apparently hit his neck on the triangular yard markers they used to have. Do he didn't tackle a quarterback, but the kickoff returner. 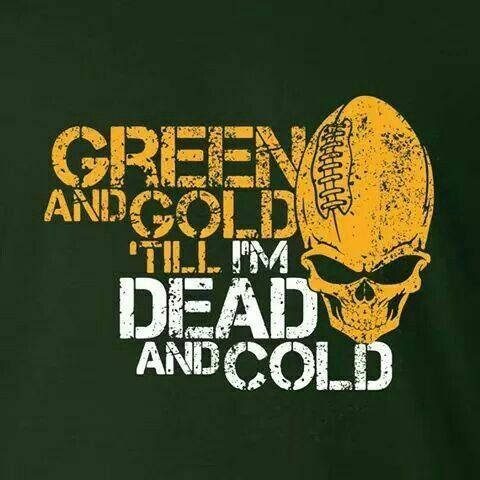 Indeed, Who Can Stop Green Bay?